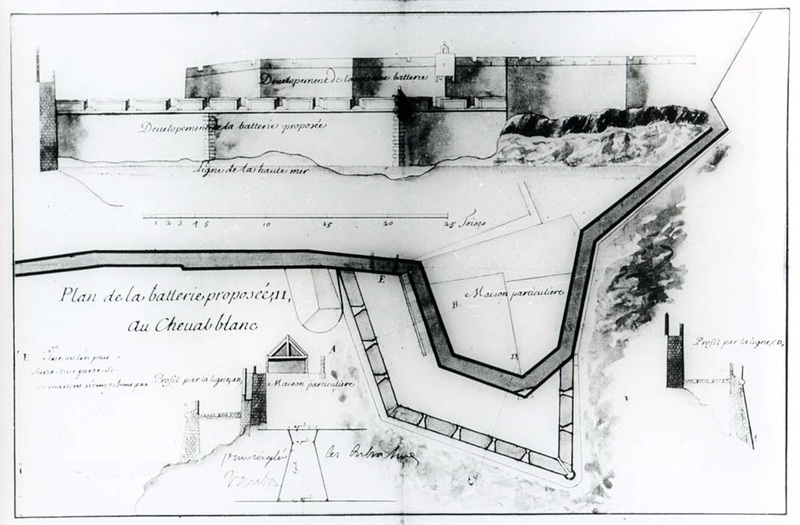 The bastion called Fort La Reine was built in two stages. 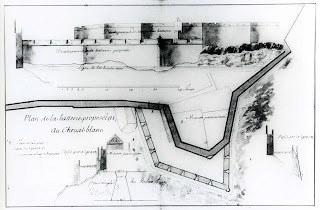 Its lower part was originally a simple platform for cannons called the Bastion du Cheval-Blanc, the construction of which was ordered by Vauban in 1694 after the first Anglo-Dutch bombardment of the town. This work was only raised to its current level during the works involved in the fourth expansion of the town (1737-1744). This gave rise to the curtain which links it to the castle and the Porte Saint-Thomas. 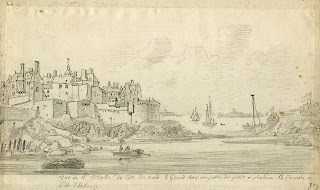 From the bastion, you can see the Fort National which was built from 1689 onwards on the rock called “L’Islet”, which is the one closest to the town. Offshore is the Fort de La Conchée, the construction of which began in 1692. Of Vauban’s various maritime forts, it is considered to be the masterpiece. To the south-west is Grand Bé island. The tomb of François-René de Chateaubriand (Saint-Malo 1768 – Paris 1848) can be seen on the end of it. On the city side, the reconstructed buildings of the École Nationale de la Marine Marchande (National School of the Merchant Marine) are on the site of an early castle, called the “Château Gaillard”. 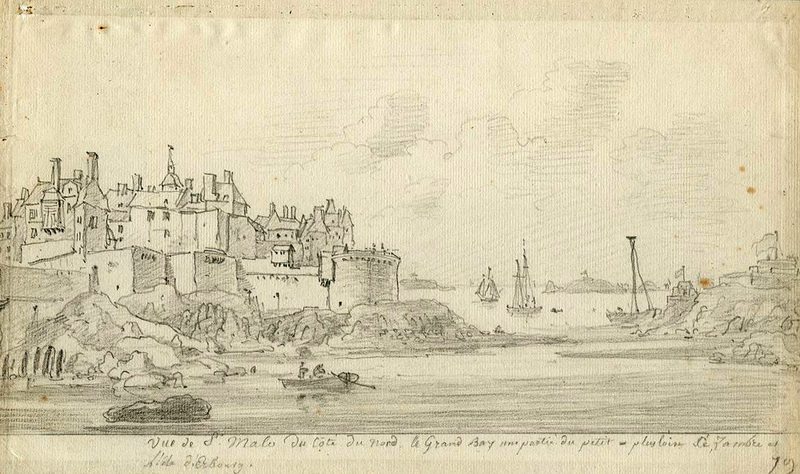 This castle was built during the first annexation of the town of Saint-Malo by the French King Charles VI (1395-1415). This work was dismantled in the late 16th century after completion of the new castle. In 1616, a Benedictine convent (Notre-Dame de la Victoire) was built on this location. A few arches from the old cloisters are still visible, as well as the bell-tower of the old church, which was rebuilt in 1959.